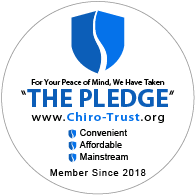 Our mission is to help our patients become pain-free, regain and maintain optimal function, and achieve better health using cutting edge chiropractic care, naturally. The BStrong4Life System is unique combination of technologies - bioDensity, Power Plate and the application of hands-on clinical biomechanics. Visit our Power Plate section to learn more. Call us at (262) 862-6001 today. For more information or to schedule an appointment with our chiropractors, call (262) 862-6001 today! Dr. Casey Horbach and Dr. Jeremy Leimback are chiropractors serving Trevor and the surrounding area. Our chiropractors and the rest of the welcoming team at Horbach Chiropractic are committed to providing chiropractic solutions to address your unique needs, whether you are experiencing back pain, neck pain, headaches, or even muscular tightness and tension. You may be searching for pain relief after an accident, experiencing an injury, or if you suffer from a specific condition like chronic back pain or a spinal condition. Even if you are looking to improve your overall health, our chiropractors can help you attain your everyday wellness goals! Visit our testimonials page to find out what our patients are saying about our Trevor chiropractor and our chiropractic care plans. At your first visit to Horbach Chiropractic, your doctor will explain how chiropractic care works and give you a full evaluation to see if our chiropractic solutions are a good fit to address your needs. If there is a good fit, we can customize a plan of chiropractic care for your condition and health goals. If you have not been to a chiropractor before and want to find out more, please email us or call (262) 862-6001 to receive the answers to your questions from our experienced team. We also welcome referrals, so we invite you to share our chiropractic and wellness information with your friends and loved ones. If you are a new patient, Dr. Horbach will personally investigate your condition to determine how he is able to assist you with your health concerns. He will present you with the best possible options available to you. We will help you recover from illness or injury in a natural way. We will do our best to accommodate your busy schedule. Please fill out the form below to have your information ready for your first visit. You don’t have to be an athlete to benefit from using Power Plate machines. There are health benefits possible for everyone, such as enhanced metabolism, increased bone mineral density, reduction of the stress hormone cortisol, elevation of Human Growth Hormone and improved lymphatic flow. BStrong4Life™ is a muscular-skeletal strengthening & rehabilitation system appropriate for all ages & conditioning levels. BStrong4Life™ Trevor is located within Horbach Chiropractic, owned and operated by Dr. Casey Horbach. Dr. Casey Horbach is a chiropractor with specialized post-graduate training in spinal biomechanics and posture related conditions. He earned his bachelors degree from University of Wisconsin Oshkosh with high honors. He grew up in Western Michigan, where he earned his Bachelors degree from Ferris State University. He then moved to Illinois to attend chiropractic school at National University of Health Sciences in Lombard. IL, where he graduated with his Doctorate and Masters degrees. "Cheaper than most other chiropractors, and much better service. The staff is always friendly. Dr. Casey is one of the coolest guys you will ever have the pleasure of meeting. He really knows he field of practice. He took care of my sciatica (which was painful behind believe) and he has helped me keep it away." "Miracle workers! My neck was "out" for two months. I couldn't turn it most days and was looking like a super weirdo turning my whole body to look around, instead of just my neck/head. After my first visit there was significant improvement and by the 2nd visit it was fixed! It's gone "out" again twice since then but Casey is able to make some adjustments and have it feel better that day instead of having months of agony." "decent office hours - i can manage an appointment either before or after my crazy work hours, staff is great, office is super clean, and Doc is awesome!" ""Thank You Dr. Jeremy! I've suffered with low back pain for years...but not anymore! Dr Jeremy Leimback fixed my chronic back pain in just a few visits. Best of all, I have remained pain-free for several months and I absolutely contribute this to the care and treatment provided by Dr. Jeremy...Thank You! Thank You!! Thank You!!! "" "I’ve always benefited from my adjustments, but once I was pregnant they were a LIFE SAVER! Now that my baby is here, we both get adjusted regularly. My 6 week old hadn’t had a BM in 4 days. He had an adjustment yesterday and he was finally able to go (a lot) this morning! I am so thankful that his discomfort was able to be relieved without any drugs!"